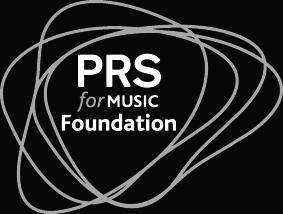 GENERAL ROOTS ARE KINDLY SUPPORTED BY THE PRS FOR MUSIC FOUNDATION. The PRS For Music Foundation is an excellent way for up and coming artists to fulfill their musical ambitions through financial and creative support. We thank them kindly. Check out their website for more details.